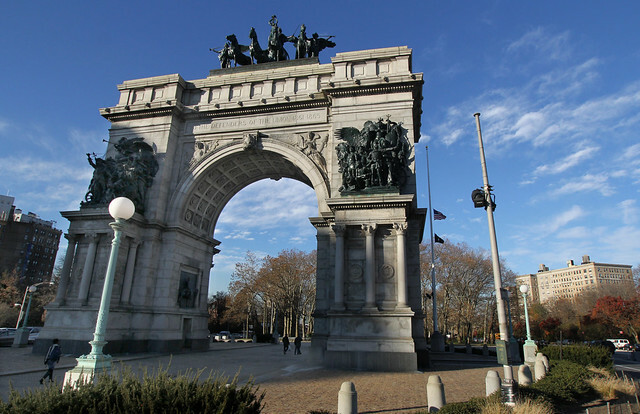 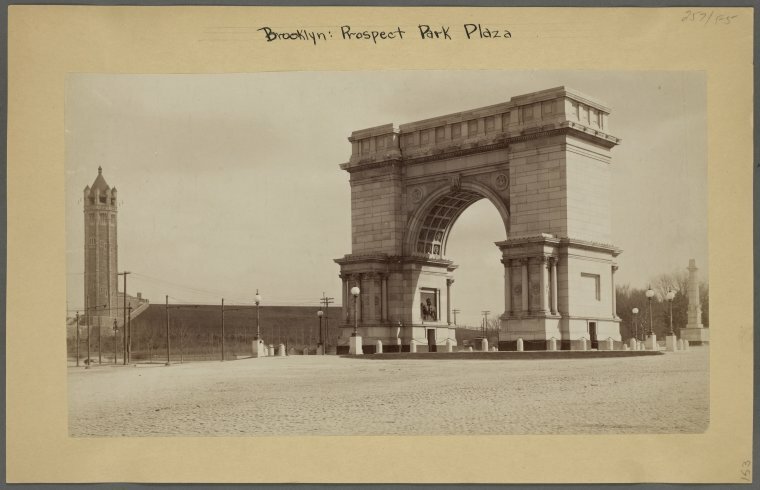 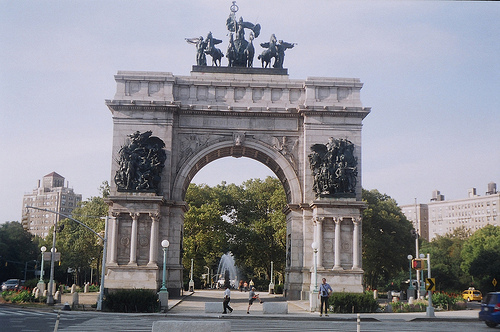 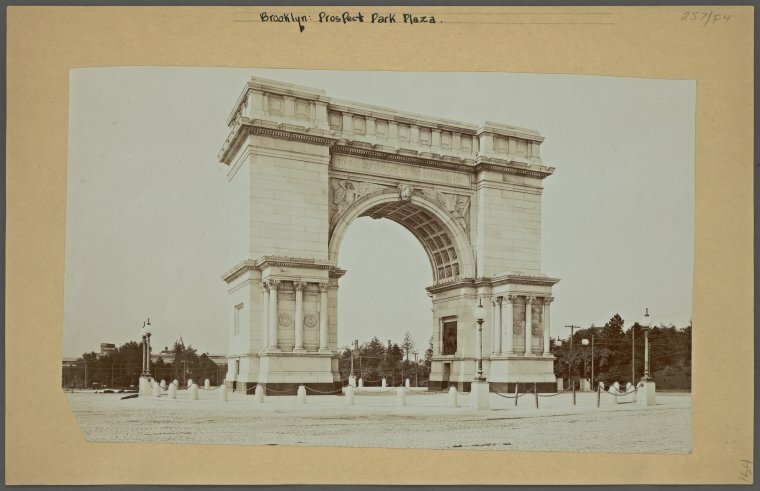 The Soldiers’ and Sailors’ Arch located at the entrance to Prospect Park in Brooklyn was constructed between the years of 1889 and 1892. 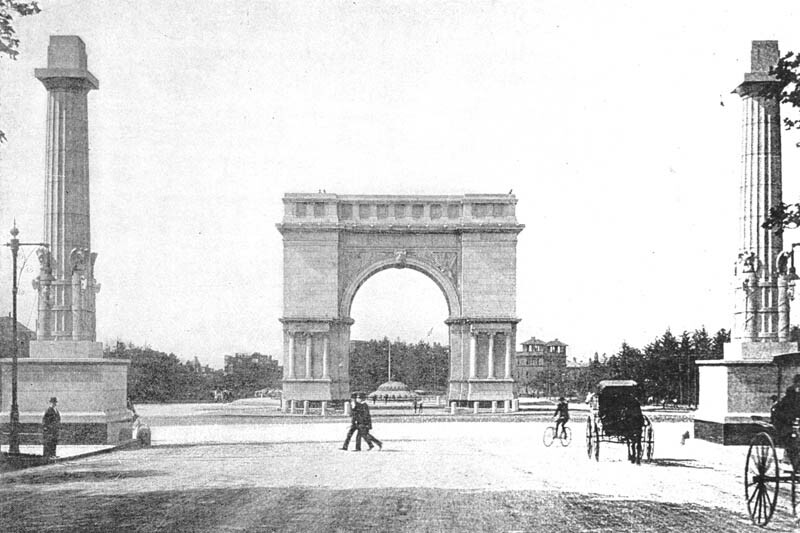 President Grover Cleveland led the unveiling in 1892. 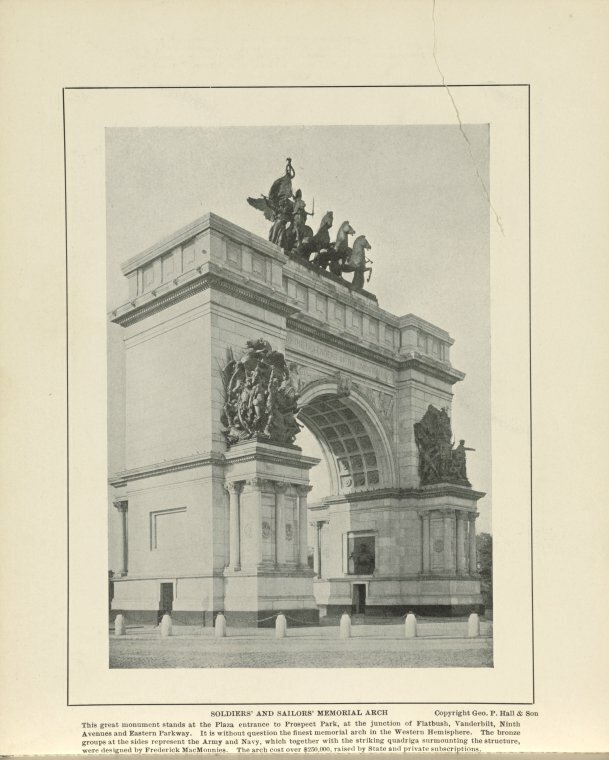 In 1894, Park Commissioner Frank Squire asked sculptor Frederick William MacMonnies to create the bronze sculptures to sit atop the arch. 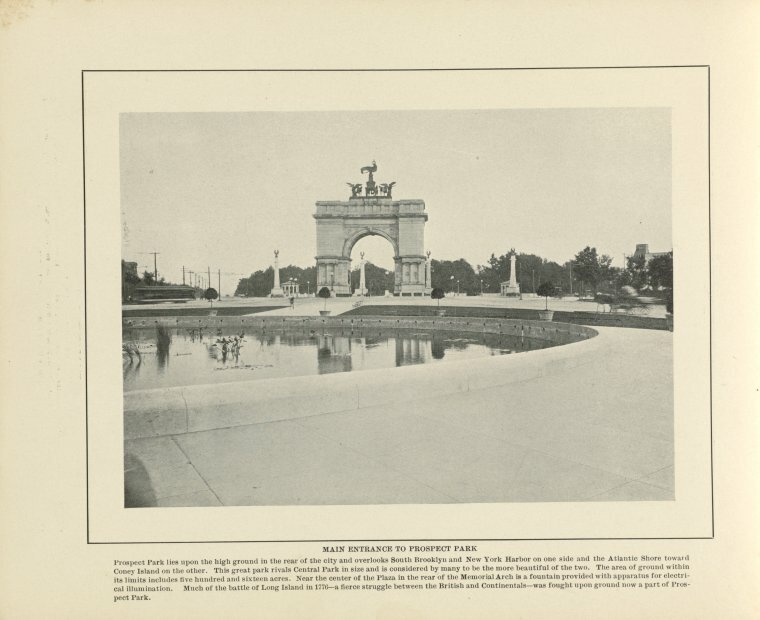 In 1895, sculptures of Abraham Lincoln and Ulysses S. Grant were added to the interior arch walls. 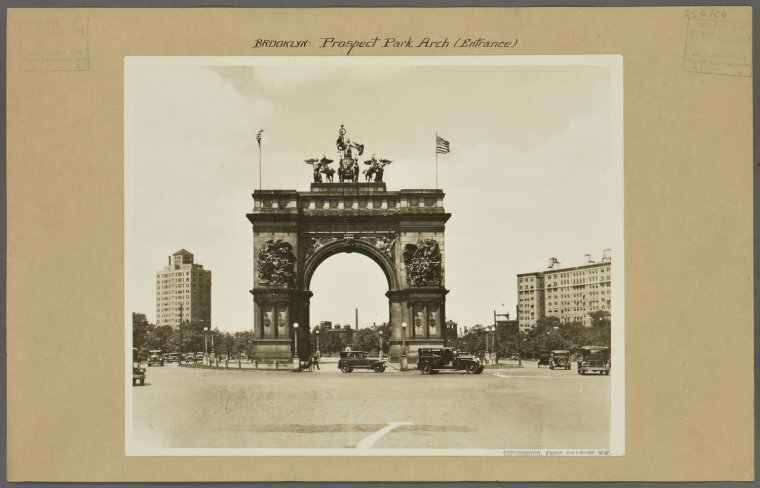 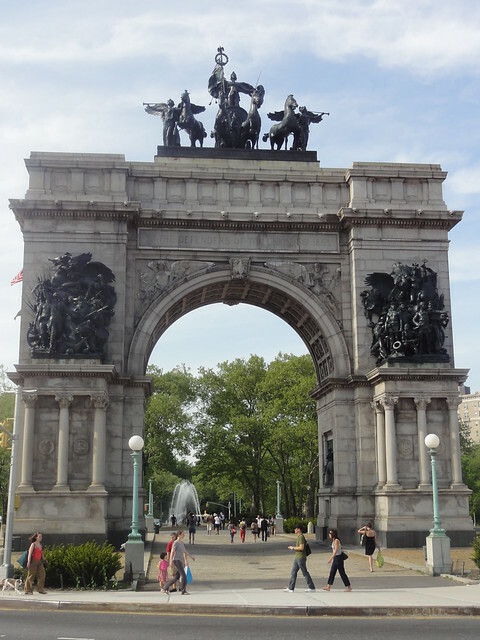 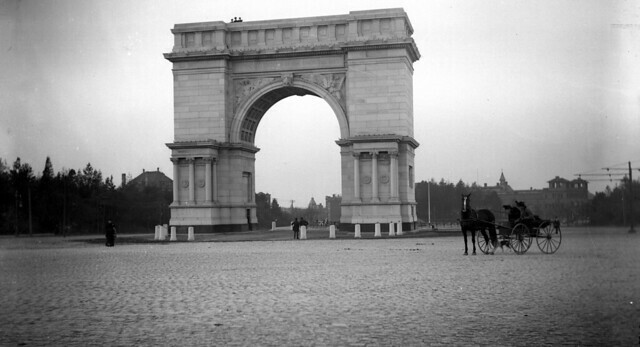 When Frederick MacMonnies added the Army and Navy sculptures in 1895, the arch was complete!